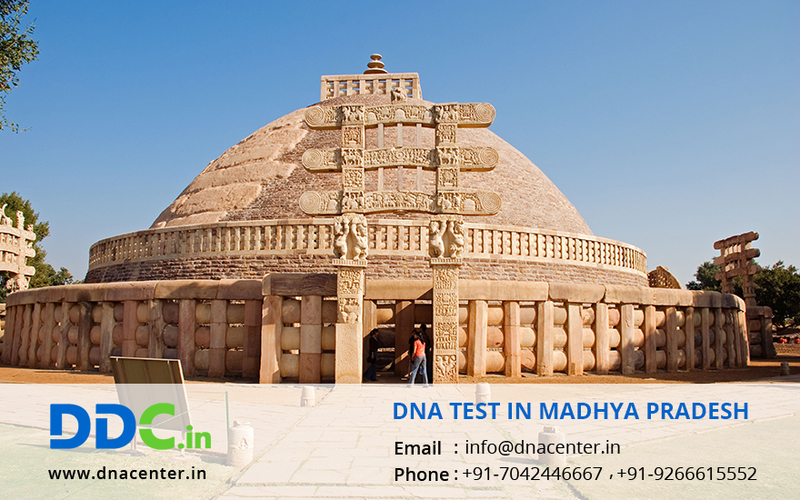 DDC Laboratories India has opened up various collection centers for DNA test in Madhya Pradesh. DNA is unique and it says that cheaters cannot escape now. Identification of thieves, murderers and even cheats is now just a test away. DNA testing in Madhya Pradesh has proved to be a blessing for all. Men and women who suspected their partners for infidelity don’t have to stand in queues to get the DNA test done to be sure about things. Many women come here with samples whose husbands were getting defensive. Their behavior was strange but the wife had no proof. A simple DNA test can provide all proofs and put a stamp on suspicion. For all DNA testing solutions you could go to one of the collection centers in Bhind, Gwalior, Guna, Sagar, Satna, Rewa, Katni, Damoh, Jabalpur, Nursinghpur, Chhinwara, Betul, Hoshangabad, Bhopal, Vidisha, Khandwa, Indore, Jhabua, Dewas, Ujjain, Ratlam and Mandsaur.